It was a story book ending for Helicopter. Last Saturday, on the closing day of the Arlington meet, the 10 year old won the first race on the card and then exited the track for a well-deserved retirement. Helicopter has been named the agameofskill.com Claimer of the Week. The bay gelding advanced on the leaders, swung over five wide into the stretch and passed his younger rivals to win the 1 1/8 miles event on the main track while wrapped up at the wire. The Florida bred defeated fellow $7,500 claimers and stopped the timer at 1:54.52. The son of Three Wonders returned $5.40 to his backers as the favorite. Helicopter is not just a typical 10 year old. The victory was the 30th of his remarkable career and the third in 2016. The game veteran has won on fast dirt, off track, turf and all-weather surfaces. He was ridden by Jose Valdivia and trained by top horseman Larry Rivelli. Helicopter’s victory also provided the 1,000th win for his successful trainer. The grandson of Storm Cat is owned by Richard Ravin and Christine Wagner. Helicopter finished in the money 59 times (top three finishers) from 94 career starts. His accumulated career earnings exceed $557,000. Thanks for the memories, Helicopter. 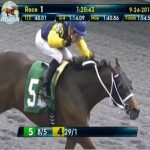 Conte stormed from off the pace and won by 3 lengths in the third race at Thistledown last Friday and has been named the agameofskill.com Claimer of the Week. Conte took the 5 1/2 furlong race for $4,000 claimers in 1:05.20 over the fast main track and returned $15.80 to his backers. It was the 13th lifetime win for the 6 year old, who was ridden by Ricardo Mejias. The son of Doneraile Court has finished in the money 32 times from 47 starts. Claimed from his last race by owner/trainer Jevon Crumley, the gelding has now accumulated $198,000 in career earnings. Lasting Impact stalked the early leaders before drawing clear in upper stretch and went on the win the second race at Arlington Park by 4 lengths last Friday. 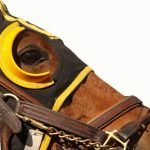 Lasting Impact has been named the agameofskill.com Claimer of the Week. The gelding defeated $10,000 claimers and covered the One Mile on a fast main track in 1:39.77. He returned $6.20 to his supporters. The son of Broken Vow scored his sixth career victory with Mitchell Murrill in the irons. The 6 year old is owned and trained by Hugh Robertson and has finished in the money (top three finishers) in 18 of 43 lifetime races. Lasting Impact has now earned approximately $160,000 in his career. Holiday Mischief, took the lead after the opening quarter and led the rest of the way to capture the seventh race at Remington Park last Wednesday. Racing on a firm turf course, Holiday Mischief stopped the clock in 1:43.94 in the 8 ½ furlong heat (1 mile and 1/16). The son of Into Mischief returned $11.80 to his backers when his ninth career victory was declared official. Bryan McNeil rode the winner in the $25,000 optional claiming event. The Joe Offolter trainee shipped in from Lone Star Park before posting a hot workout in Okie City. The 6 year old is owned by his trainer and has now earned over $270,000 in his lifetime. The bay gelding has finished in the money (top three finishers) in 18 of 40 career races. 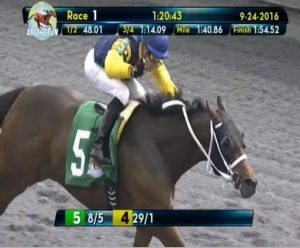 Sidisinforhree rallied from the back, went wide, and got up in the final strides to win the eighth race at Presque Isle last Wednesday night and has been named the agameofskill.com Claimer of the Week. The bay mare defeated $7,500 claimers and covered the six furlongs in 1:10.94 over the Tapeta surface. She returned a whopping $54.40 to her supporters. The daughter of Whywhywhy scored her 16th career victory with Gilberto Delgado in the irons. The 6 year old is trained by Randall Russell and has finished in the money (top three finishers) in 26 of 44 lifetime races. The tough veteran is owned by Daniel Atwood and has now earned approximately $331,000 in her career. 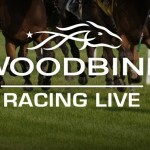 Gentleman Jackson teased his competition and led almost every stride to win the opening race at Woodbine last Friday afternoon. Gentleman Jackson has been named the agameofskill.com Claimer of the Week. In the race for $10,000 claimers, the 9 year old stopped the timer at 1:23.51 for the 7 furlongs and was ridden by Alan Garcia. The son of Alert returned $4.90 to his backers as he collected the 14th victory of his career. The bay gelding is trained by Jim Ensom and owned by Lee, Mitchell and others. The grandson of Kentucky Derby winner Unbridled has finished in the money an impressive 32 times from 54 lifetime starts and has earned $362,000. 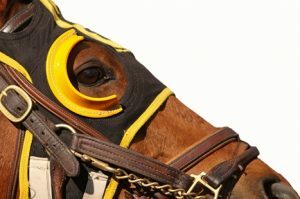 Economic Risk moved from mid-pack in the turn to draw near the lead, challenged the leader at the top of the stretch and ran to victory in the eighth race at Presque Isle Downs last Thursday defeating $5,000 claimers in the process. Economic Risk has been named the agameofskill.com Claimer of the Week. The daughter of Any Given Saturday covered the 5 1/2 furlongs on the Tapeta 1:05.32 and returned a whopping $35.00 to her backers once her seventh career victory was official. Ridden by Huber Villa-Gomez, the bay mare has now finished in the money (top three finishers) in 19 of 37 lifetime races. The 7 year old is trained by Brenda Ketring and has earned $96,000 in her career. Economic Risk is owned by her trainer. Condestable, racing with blinkers for the first time, was forwardly placed early, challenged for the lead on the turn, took control at the top of the stretch and went on to win the second race at Churchill last Friday by a neck. Condestable stopped the clock in 1:17.01 in the 6 ½ furlong heat. The son of Rock Hampton returned $17.20 to his backers when his eighth career victory was declared official. Brian Hernandez rode the winner in the $16,000 claiming event. The Keith Bourgeois trainee was claimed two races back at Delta Downs. The 5 year old is owned by Charles Boudreaux and has now earned $145,000 in his lifetime. The dark bay has finished in the money (top three finishers) in 19 of 36 career races. 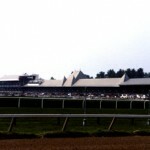 It’s no surprise that Ken and Sarah Ramsey would win of the first races at the Keeneland spring meeting. The successful owners captured the second race with Slan Abhaile after he contested the early pace and disposed of a late challenge. The Mike Maker trainee defeated $10,000 claimers over six and one half furlongs in 1:17.16. Ridden by Javier Castellano, the bay gelding returned $3.00 to his backers after claiming his sixth career victory. The son of Hard Spun has finished in the money (top three finishers) in 18 of 32 races and has accumulated $243,000 in lifetime earnings. 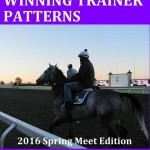 Trainer Mike Maker is one of the 24 “Kings of Keeneland” featured in Art Parker’s book.